This report was produced specifically for the UK and Ireland (UK/I) region and is based on data gathered from real-world business leaders explaining how they perform tasks on a daily basis. In the report, we will look at how business managers can step up from the operational tasks and focus on work that will propel their business forward. Touch on the priorities of what we could be termed 'accelerated business leader's': those decision makers leading their industries forward in a way that harnesses emerging technologies and agile new ways of working. 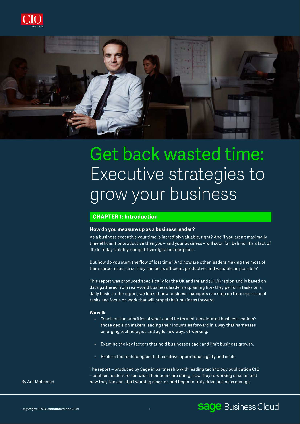 Examine key factors that hold businesses back and limit business growth. Explore the technologies that can drive operational agility and scale.